After spending more than a decade as one of the unsung geniuses of the Italian film industry—working as a cinematographer, special-effects designer, and uncredited director on some of the biggest international hits of the 1950s—Mario Bava got his first solo feature-directing credit in 1960, at age 46: Black Sunday, a gory period piece about witchcraft and vampirism, inspired mutually by a Nikolai Gogol story and by Universal Studios’ classic gothic horror films. Black Sunday generated controversy (and ticket sales) worldwide, and launched Bava into a decade of phenomenal creative and commercial success, in which he inspired the next generation of Italian genre filmmakers with his stylish, mature takes on suspense, fantasy, science fiction, action, Westerns, and splatter. Because he worked in so many different modes, Bava could be a tough director to pin down, but his films were unified by how striking they looked, and by how they often began with the usual genre clichés, then edged into something grimmer and stranger. Black Sabbath, released in 1962, was intended to capitalize on the popularity of Black Sunday, though in keeping with Bava’s career-long eclecticism, the two films aren’t much alike. Black Sabbath is an anthology film, with only one of its three segments—“The Wurdalak,” about a zombie-like curse that spreads from person to person in a 19th-century Russian household—having a similar feel to Black Sunday. The other two segments are “The Drop Of Water,” starring Jacqueline Pierreux as a Victorian-era nurse named Helen who stirs up aggravating supernatural forces when she steals the ring off a corpse, and “The Telephone,” starring Michèle Mercier as a prostitute named Rosy who thinks she’s being harassed by her ex-pimp. The three films vary in style and content, unified by Ubaldo Terzano’s rich color cinematography and by stories that are largely about what happens when paranoid fears become brutal realities. That feeling of dark inevitability distinguishes Black Sabbath. There are small twists in all three stories, but for the most part, the segments suggest where they’re headed early, then keep plunging headlong into the shadows. In “The Telephone,” for example, Rosy thinks she may be safe when her lesbian lover Mary (Lydia Alfonsi) arrives, but Mary’s presence only exacerbates the situation, provoking the story’s violent conclusion. In “The Drop Of Water,” Helen is driven to madness as much by the fear of what might happen as any actual threat. And in “The Wurdalak,” nearly everyone involved with the affected family gradually quits fighting their destiny, choosing to embrace the curse. 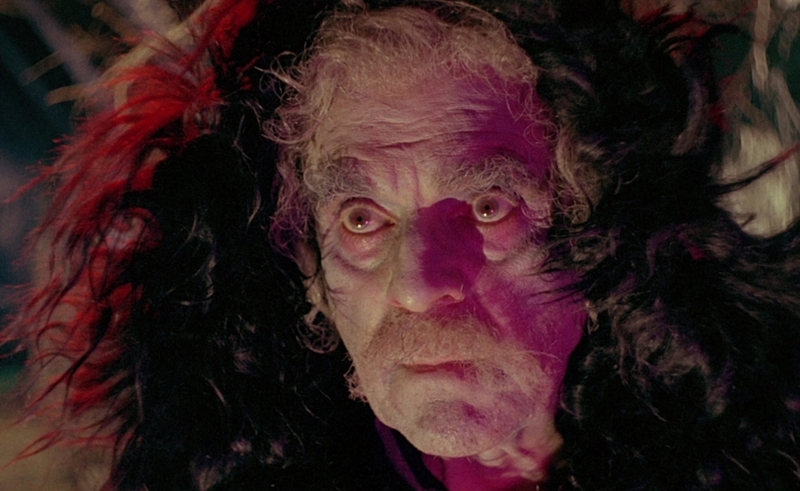 Bava keeps the dialogue in Black Sabbath sparse, and doesn’t shy away from any exploitable elements, from scantily clad women to bloody wounds and warped-faced ghouls. But even more terrifying is the movie’s atmosphere of doom, exemplified by what Rosy’s stalked tells her: “Calling the police is useless, because I’m closer than the police.” Even with Boris Karloff providing a lighthearted introduction and sign-off, Black Sabbath is fraught with fatalism. Bava fell onto harder times in the 1970s and died in 1980. At a time when his imitators were thriving, he saw some of his films go unfinished, get re-cut, or remain unreleased, all due to insufficient funding and/or a changing marketplace. Kidnapped (also known as Red Light and Rabid Dogs) was one of the unfinished ones, removed from Bava’s hands during the editing process when one of its backers went bankrupt. Decades later, the movie’s star, Lea Lander, re-acquired the footage, and Bava’s son Lamberto cut a version of the film that the director’s fans hailed as a revelation. A few years after that, Lamberto Bava cut another version, which those same fans found comparatively disappointing. Kino Classics is now releasing this latter Kidnapped on Blu-ray as part of its “Mario Bava Collection,” and while it’s disappointing that the best version of Kidnapped isn’t making its domestic Blu-ray debut, this is still a fabulous-looking, terrific-sounding disc, containing a compact powerhouse of a film. Lander plays a woman named Maria, being held hostage by three grand larcenists who’ve also forced middle-aged bystander Riccardo (Riccardo Cucciolla) to drive them into the Italian countryside, even though Riccardo insists he needs to rush a sickly looking toddler to the hospital. Most of the film takes place in Riccardo’s car, as he and Maria do their best to remain compliant and stay alive long enough to escape. But while the leader of the gang, “Doc” (Maurice Poli), seems to be a level-headed, ruthlessly practical man, his two henchmen are unhinged. One’s a wiry psychotic named Blade (Aldo Caponi), who talks to his knife; the other’s a hulking simpleton named 32 (Luigi Montefiori), who can’t keep his meathooks off Maria. Bava doesn’t try to open up the setting or compensate for it in any way; instead, he shoots tight close-ups inside the car, emphasizing how cramped and uncomfortable the vehicle is becoming as the tension rises. Meanwhile, screenwriter Alessandro Parenzo keeps throwing curveballs at the travelers: Riccardo rear-ends another car during a traffic jam; the car runs out of gas; the crooks are forced to pick up a chatterbox hitchhiker; 32 gets clumsily drunk; and so on. Kidnapped has been cited as an inspiration—directly or indirectly—for Quentin Tarantino’s Reservoir Dogs, which is an easy connection to make. Bava and Parenzo depict the thieves as earthy, working-class grunts, who laugh at the idiocy of the “assholes” who got killed trying to stop their heist, and Kidnapped culminates in a multi-gun standoff, in which multiple bodies hit the ground. But Kidnapped also presages From Dusk Till Dawn. And it resembles Pulp Fiction in that there’s a sense throughout the movie that Bava and Parenzo could veer off at any time to follow any other set of characters, and come up with something just as nerve-jangling. That feeling comes across especially at Kidnapped’s end, via a gut-punch final line that reveals just whose story this has been all along. As with From Dusk Till Dawn’s left-turn from hostage drama to vampire movie, and as with the way the criminals in Pulp Fiction keep stumbling from their own intense personal dramas into somebody else’s, the end of Kidnapped suggests that there’s always something just as exciting happening right outside the frame—that inside any random car on the road, there might be something unsavory going on. As is often the case in the Bava-verse, Kidnapped turns out to be located at the intersection of every dime-paperback plot, in that wild space populated by crooks, vampires, astronauts, and cowboys, all tromping inexorably to The End. The only extras on these discs are an assortment of Bava trailers, and that’s been the source of some controversy, particularly in regards to Kidnapped, given that the previous Anchor Bay DVD edition included both cuts of the film, along with a short documentary about its history and a commentary track by Bava scholar Tim Lucas. As stunning as both of these films look on Blu-ray—and they do look fantastic—it’s hard not to feel a little cheated by what isn’t included, given that some who’ve seen both Kidnappeds insist that the soundtrack and editing choices of the more recent version sabotage the film. That said, people who haven’t seen the earlier cut won’t have any point of comparison, and while the cheesy score is noticeable at the start of the newer Kidnapped, it becomes less so over the run of the film, which remains a masterfully conceived and executed shocker.